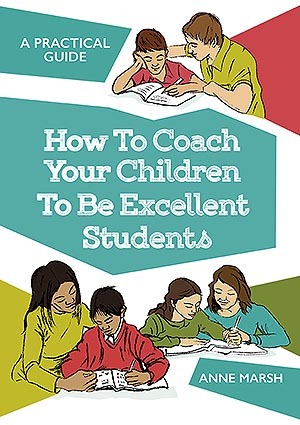 A practical guide to help you help your children become excellent students! Recent research both in New Zealand and overseas shows encouraging your children to practice at home what they’re learning in the classroom has a hugely positive impact on their success at school. These can be simple tasks such as reading with them, revising letter sounds, practicing adding and subtracting numbers, and times tables, or coaching more complex skills to remember information for a test or organise homework. Are there secrets to helping students learn that are only taught to trained teachers? The answer is NO! There are many research papers and education texts describing effective ways to coach children, but they are often full of jargon and can be difficult to understand. The Families as Coaches manual ‘Coaching your children to be excellent students: A practical guide’ translates the research into ideas families can easily understand and use. It is full of smart strategies that have been proven to work over and over again. The manual is a step-by-step guide on how to work with your child successfully at home. Click on this link to preview some of the content in the Guide. What’s up colleagues, its impressive article regarding educationand fully explained, keep it up all the time. Thank you for that warm comment.